Some of you may wonder what a ‘de personalised’ search on Google is. In simple terms, performing a de personalised search allows you to see returned search results without Google taking any previous searches you have made into consideration, therefore making the results ‘de personalised’. 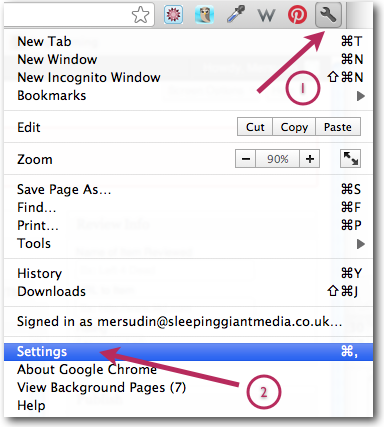 Go to your Chrome browser, click on the wrench in the top right hand corner and click on ‘Settings’. A pop up box should appear with all the different search engines that are available. 1. 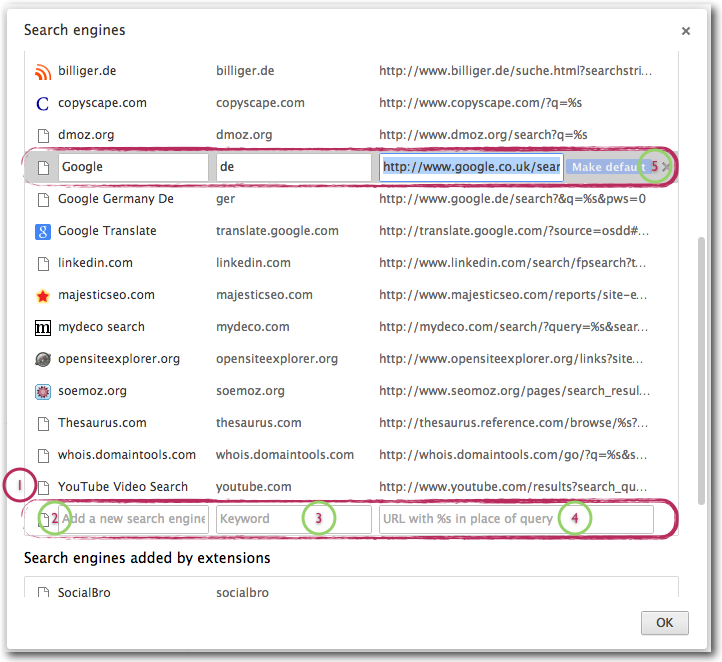 Scroll down until you see three boxes where you can add your de personalised search engine settings. 5. Make sure you set your new search method as the default search engine. Now open a new tab and enter the tag you used for your new search engine and hit the space button. I used the tag ‘de’ in this instance. When you hit space the name of the search engine should appear. It should come up with Google if you named it that way. Type in the keyword you would like to search for and hit enter. 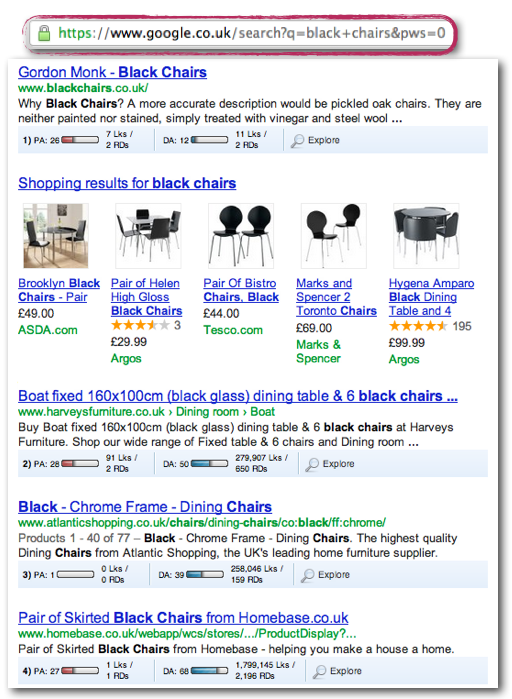 You should now see a set of de personalised search results. Notice how the url at the top of the page has attached the parameter ‘&pws=0’. This is the parameter used to de personalise the search. Thats it! You can now see ‘de personalised’ search results. Enjoy!